Indian airline in financial turmoil grounds flights to destinations such as London, Amsterdam and Singapore. Indian airline Jet Airways has cancelled all international flights as it continues to look for investment to allow it to keep operating. The airline currently has debts of more than £765m and has delayed payments to banks, employees and suppliers, according to the BBC. In May Last year, the airline announced it would be expanding its routes to the UK with a Manchester to Mumbai route launched at the end of 2018. Just a few months later, on 22 March, the airline suspended the service. Virgin Atlantic issued a statement offering any of its own customers who have connecting flights with Jet Airways "options to rebook, reroute or refund their tickets" on all flights booked before 11 April. 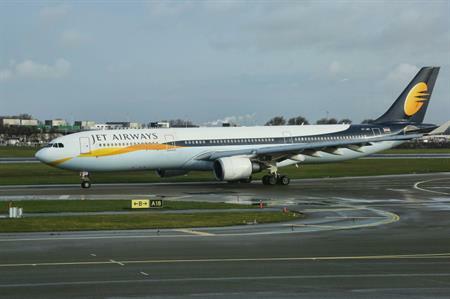 The Times of India reported that Jet Airways is currently only operating 14 of its fleet of more than 100 airplanes. Last month the chairman of Jet Airways Naresh Goyal stepped down and later issued a statement, which said: "At this time of turbulence at Jet Airways, my strongest, most overriding wish and commitment is to secure the well-being of the Jet Airways family, as close to my heart as my own family, who have steadfastly stood by me through thick and thin with a loyalty that leaves me humbled. "To ensure that they emerge unscathed from the recent disruptions and continue to hold their heads up high... I have agreed to sacrifice every control and interest in the airline with the sole aim to ensure the Jet family's lasting welfare." For more features and breaking news sign up to C&IT Magazine's daily Newstracker.